A number of economists are making dark predictions for the future of the Danish agricultural sector. Although most farmers made profits in 2017, the price of products such as pork and butter is already falling, reports Finans. “After a couple of years with high prices for agricultural produce, the good times are over. Pig breeders are already entering a recession and milk producers will feel the effects during 2018,” said Klaus Kaiser, the head of business economics at the farming advisory centre Seges. The reason for the trend seems to be a worldwide increase in production that started when farmers found they could command higher prices. That has then caused a surplus and triggered the current price drop. Since 2008, the agricultural sector in Denmark has been through a severe crisis that produced a large deficit. It was only in 2016 that things really began to look up again for farmers. “Unfortunately, it is beginning to look as if the party is already over. It’s been short and it is also hard considering the length of the preceding crisis,” Hans Fink, the chief analyst at AgroMarkest, told Finans. 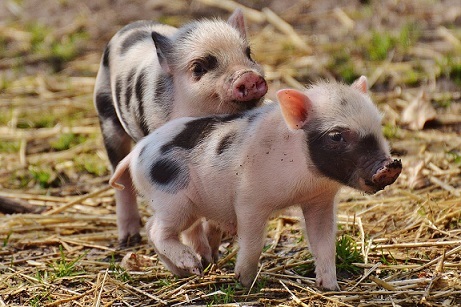 Over a couple of months the price of piglets has fallen by 30-40 percent whilst pork futures fell by 22 percent.